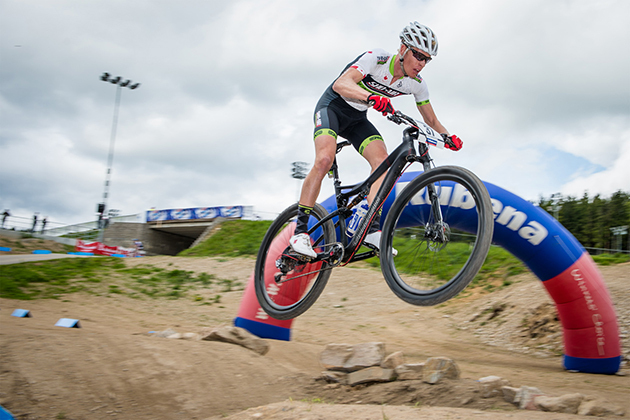 Cannondale, a premium brand of Dorel Industries (TSX: DII.B, DII.A), and Cannondale Factory Racing are excited to announce the arrival of Canadian Max Plaxton, the fastest XC rider in North America, to the team as it heads into its 6th season. Plaxton joins elite riders Marco Aurelio Fontana, Manuel Fumic, Anton Cooper, and Keegan Swenson. "I'm amped to be riding with a strong squad," commented Plaxton. "I'm ready to bring my A-game to the 2014 season." "We watched Max compete last year, and his results speak for themselves. We're thrilled to add him to the team. We're also excited to have Sho-Air expand a great North American relationship to an even broader global partnership. Our companies share a passion for cycling and a commitment to expanding the sport. This will be a great relationship," said General Manager for Cannondale Bob Burbank.